My friend, Linda, made this for bridge this week and it was most refreshing on a hot day. Not too sweet either for a peanut butter pie. Beat cream cheese until soft and fluffy. Beat in sugar, peanut butter and vanilla. Slowly fold in whipped cream until well blended. 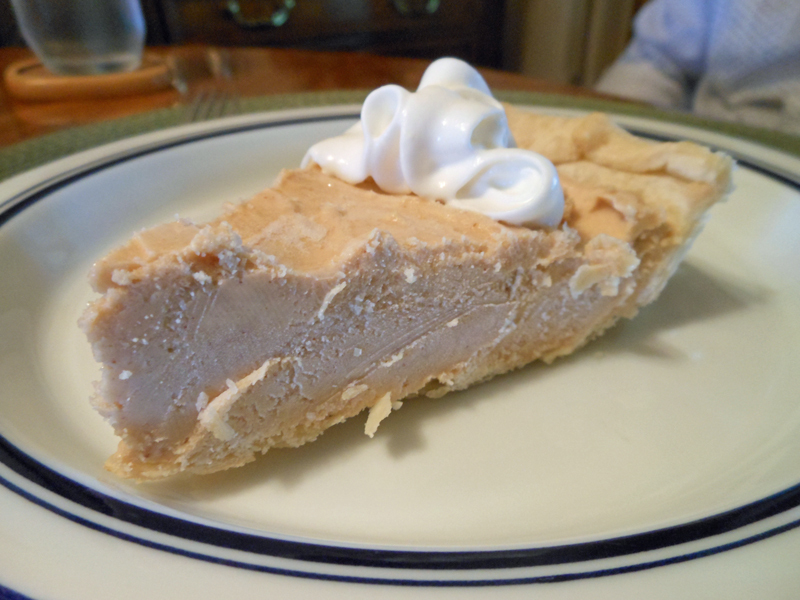 Pour into baked pie crust and freeze until ready to serve. Remove from freezer and let soften 20 to 30 minutes before serving.